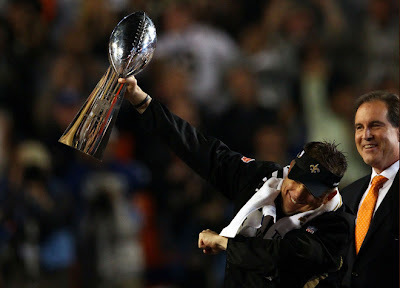 Who Dat, you have to hand it to the New Orleans Saints as they quieted the experts and won Super Bowl XLIV 31-17. This is one year where the celebration would actually be fun to watch for those who aren't fans of the winning team. Congratulations New Orleans Saints!